I totally agree with Mr.TomServo. As I've often said elsewhere, I don't feel that there were many true acid techno classics between about 2002 and 2007. This, however, is one which IS a classic, and is actually well worth the current asking prices. Side AA is fine - it's that kind of "clattery", driving, non-acidic London techno which was pretty common in the 1999-2003 period (and beyond); nothing too special and a little predictable (you just KNOW when that 909 ride cymbal is going to come in, lol) but a very good track anyway. But this release is all about Side A - it builds gradually, and at first you aren't quite sure if it's going to be a classic or not (a bit like a lot of the Dynamo City releases), but before you know it, you're loving every second. The kick drum sounds very similar to ROUTE 29's "In The Freeze", and one of the synth stabs sounds like it may have been sampled from that tune as well. 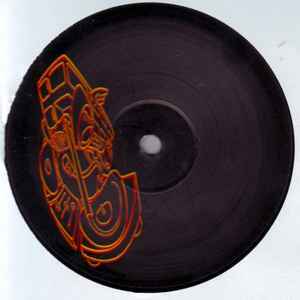 And as for that acid line - it's got to be one of the best ever made on any acid techno label, simply magical. "Even if She's Now Got a Perm" is an amazing track---twisted, grinding, and thoroughly acidic. Do yourself a favor and pick up this tune, either here or with the repress!